When you need power but don’t want the exhaust, just plug in the MSE 210 C-BQ electric chain saw. Enjoy zero fuel costs, no fuel mixing and no engine maintenance. 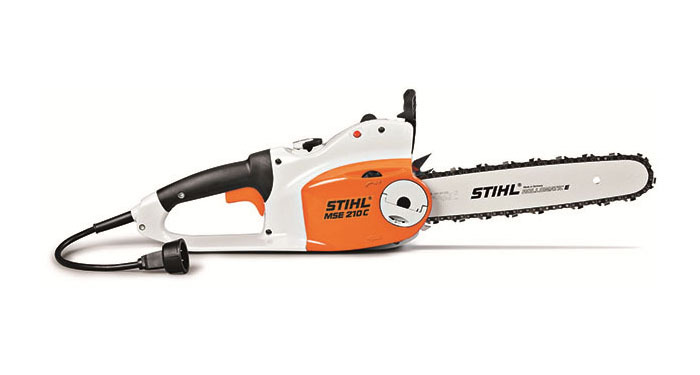 Great for firewood cutting, woodworking and carpentry, this corded electric chain saw delivers all the power you need for tasks around the home (even indoors). The powerhead weighs under 9.5 lbs. but is packed with advanced cutting features. The MSE 210 C-BQ features a wide trigger switch and toolless Quick Chain Adjuster (QCA) for easy chain adjustment or replacement. There’s even a coast-down brake which quickly stops the rotating chain when the trigger is released.